BTC Business Performance in the First Half of 2017 • BTC d.d. In March, BTC, the Ministry of Infrastructure, DARS (the Motorway Company of the Republic of Slovenia), DRI, and the City of Ljubljana signed the Agreement on the co-development of industry projects and state infrastructure for the implementation of investments in the amount of EUR 300 million in the general area of BTC City Ljubljana. This is one of the most important long-term projects, which will provide modern road infrastructure alongside the development of new industry projects. The company itself is also committed to modern infrastructure. This year, BTC has completed the construction of one-way roads in the central part of BTC City Ljubljana. In addition to last year’s four one-way roads, three more one-way roads have been constructed, together with diverse greenings and smaller parks. In its care for a green environment, BTC planted altogether 177 new trees and 3,500 bushes, while also building new bike lanes and footpaths, so as to combine traffic safety and a good traffic flow with a responsible attitude towards the environment. The new Trg Mladih square has recently come to life in BTC City, complete with a modern design, from smart benches to new patches of green and equipment that fosters sociability. A new floral market has also been arranged at the BTC City Market, sporting a modern look and offering better conditions for vendors and consumers alike. 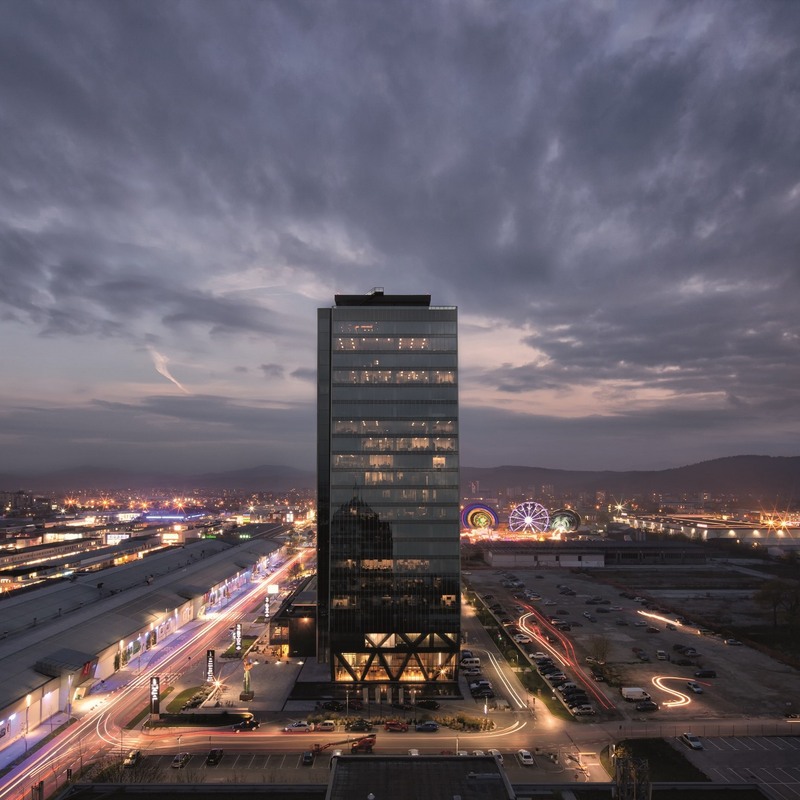 A public-private partnership agreement has been signed with the City of Ljubljana, which is the basis for plans and documentation for the redesign of the old Ljubljana airport building and tower. The renovation, which will bear the imprint of the trailblazing years of Slovene aviation and is to be located in the southern part of BTC City next to Atlantis Water Park, should open its doors to the public in the beginning of autumn next year. The company has also invested in the modernisation of a number of catering outlets and business premises, as well as in the modernisation of infrastructure in BTC Cities in Ljubljana, Murska Sobota, and Novo mesto, where it co-financed the expansion and modernisation of the Lidl store. Hall A will see quite a few changes come autumn, including a new Vita Care shop and a new Subway. Hall A is also getting ready for IKEA, planning new passages in order to ensure better flow and customer access. With the arrival of IKEA, the entire look of BTC City Ljubljana will change due to the new connecting road between the Kajuhova ulica street and the Kratochwill roundabout, as well as the new, 1.5 ha park southwest of the Crystal Palace. The company also invested in a new 1,000 m2 building in the Logistics Centre, not only to expand its premises, but also to streamline operations and optimise working conditions. A special incentive for the further development of the company was provided by the pillar for digitisation and innovation, which was established last year and has been successfully collaborating with the world’s most technologically advanced corporations, the ABC Accelerator, and the pillar Mission: Green. New projects are being developed that make BTC an increasingly modern and open company. One of them is the BTC Living Lab, which has given birth to many projects focused on improving the user experience of business partners as well as that of visitors to BTC City and BTC Logistics. Last year, the company supported the project Avant2Go and its approach to car sharing, the popularity of which is growing amongst our visitors. The company has also become part of the Slovenian 5G initiative under the aegis of the Agency for Communication Networks and Services of the Republic of Slovenia, which is committed to the fastest possible internet data transfer. The Smart City city-management platform monitors key city parameters for optimal management and quality services. The so-called competency centre platform has also begun operations, carving new trends in smart logistics. The implementation of smart parking is another project planned for this year and signals technological infrastructure for comprehensive traffic management. An agreement has been signed with Petrol on the construction of 6 new electric vehicle charging stations in BTC Cities in Ljubljana, Novo mesto and Murska Sobota. Within the scope of its Living Lab, BTC will also address the automotive industry in order to make BTC City a testing ground for self-driving road vehicles. The project will also involve startups, since this is a broader, global technological challenge dealing with the question of how to arrive at the general usage of self-driving vehicles as soon as possible, and it is only right that Slovenian companies have a hand in its development.